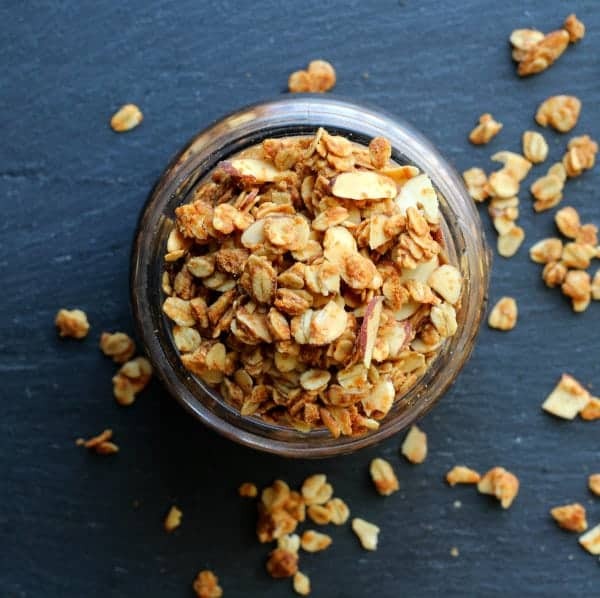 This Biscoff granola is an easy granola recipe and is sweet and crunchy with the perfect touch of warm spices to get your morning started off on the right foot. 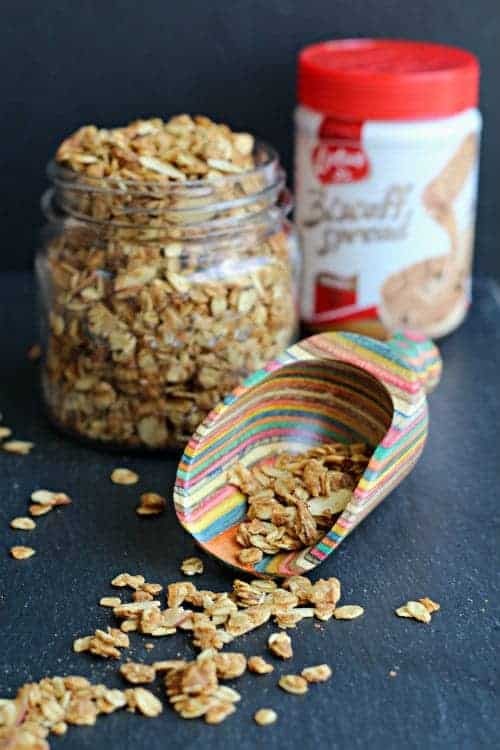 You can make this easy biscoff granola recipe in a matter of 10 minutes plus cooking time (30 minutes). Eat it hot out of the oven or store it for breakfast tomorrow. It is on the sweet side, so you can enjoy it for breakfast or throw it on ice cream and have a delicious dessert. Enjoy! 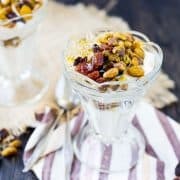 If you love granola as much as I do, make sure to try my easy granola recipe with pecans and cranberries, and also my chocolate chip granola! 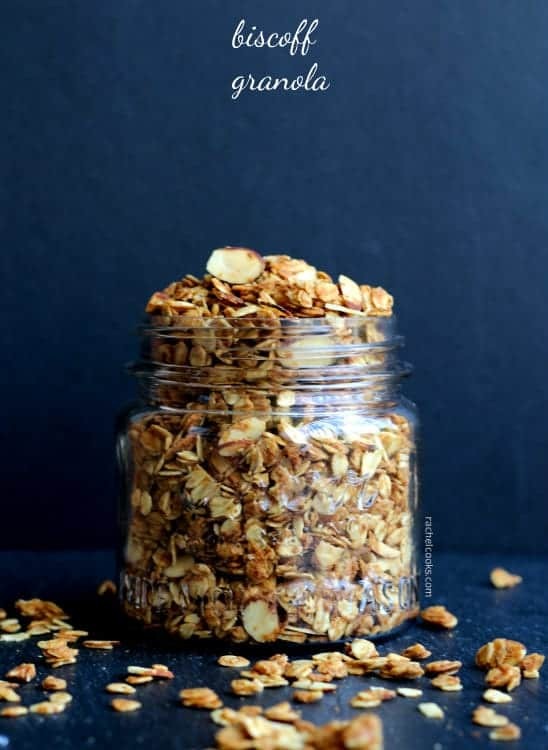 This Biscoff granola is an easy granola recipe and is sweet and crunchy with the perfect touch of spices to get your morning started off on the right foot. Preheat oven to 300 degrees Fahrenheit. Line a rimmed baking sheet with parchment paper or Silpat baking mat. Add Biscoff spread and oil to a small bowl and heat in the microwave for 30 seconds on 50% power or until melty. Stir in honey. 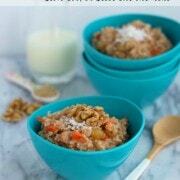 Meanwhile, in a large bowl, combine cinnamon, oats, almonds, ground flax (or wheat germ), and salt. Pour Biscoff mixture over the oat mixture and stir until well combined and all dry ingredients are coated. Spread onto prepared baking sheet in an even layer. Bake for 15 minutes, stir, and continue baking for 15-20 minutes or until golden brown. 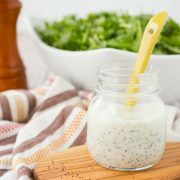 Let cool completely before storing in airtight container. 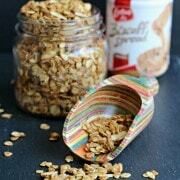 Verdict: LOVED this Biscoff granola! I can’t wait to sprinkle it on vanilla ice cream. I might even crush up some Biscoff cookies on there too. This is a sponsored conversation written by me on behalf of Biscoff. The opinions and text are all mine.